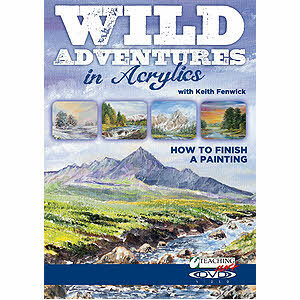 Keith Fenwick is one of the UK's leading teachers of landscape painting. He enjoys a tremendous following among leisure painters who flock to his seminars and workshops at major fine art and craft shows. His eight books have become best sellers and his 20 plus teaching videos/DVDs have benefited students worldwide. Keith is a Chartered Engineer, a fellow of the Royal Society of Arts, an Advisory Panel member of the Society for All Artists and holds several professional qualifications including an Hons Degree. Keith has appeared on BBC and Cable Television, presented Granada TV's Art School and his series on Sky TV - 'The Art Doctor' proved to be very popular with budding artists of all ages. His expertise in landscape painting, his writing, teaching, video -making and broadcasting ensure an understanding of student needs. He finds great satisfaction in encouraging those who have always wanted to paint but lack confidence to try, as well as helping more experienced painters to develop their skills further. 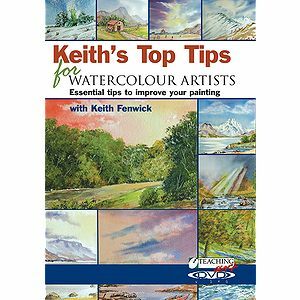 Keith regularly appears on the Painting and Drawing Channel 166 Sky TV.